The Gold membership entitles you to book any 17 classes per month. In addition, your membership gives complimentary access to our weekly Run JB club or Couch to 5K sessions. A major benefit of your Gold membership is that you do not have to attend the same classes each week. For example, if you normally attend Pilates on Monday nights but can’t make it one week due to a family or work commitment, then you have can attend another class on another day instead. As a Gold member you have priority access to online class booking either via our website or the MindBody app. The app makes class booking far easier, quicker, and more transparent, as you can view the schedule of all classes you have booked via the app. What happens when I am on holiday or away with work? As a Gold member, you have the freedom and flexibility to book your 10 classes per month however you choose. So no more wasted sessions due to work or personal commitments! In the event that you can no longer attend a class that you have already booked, please cancel as soon as possible via our MindBody Class Booking System. if you do not attend a class for which you are still on the list (a "No-Show"), the class pass used to book the class will be forfeited and deducted from your available passes for that month. PLEASE NOTE THAT WE ARE NOT CURRENTLY ENFORCING THE LATE CANCELLATION POLICY (APART FROM NO-SHOWS). IN THE EVENT THAT MEMBERS CONTINUE TO CANCEL CLASSES IN ADVANCE ON THE SYSTEM IN THE MAJORITY OF CASES (AS IS CURRENTLY THE CASE), WE HOPE TO WAIVE FORMAL PENALTIES FOR AS LONG AS POSSIBLE. HOWEVER WE RESERVE THE RIGHT TO ENFORCE THIS POLICY DURING YOUR MEMBERSHIP PERIOD. There will be no penalty for cancellations made before these deadlines ("Early Cancellations"). However, for cancellations made after these deadlines ("Late Cancellations") the session credit will be forfeited (i.e. that session will count towards your entitlement of three sessions per week). 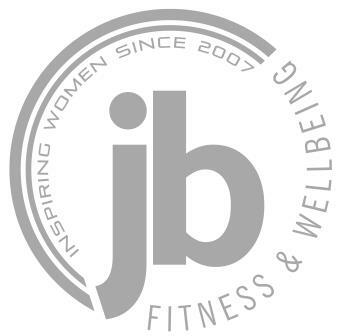 Run JB Membership is a complimentary benefit for JBPT members. The cancellation policy will not apply for Run JB sessions - there will be no penalty for late cancellations. Can family members or friends use my Gold membership or attend the sessions I miss? Gold Members are entitled to one new guest pass every month. Guests must not be previous or existing customers of JB Fitness & Wellbeing and the same guest can only attend once. You must notify us in advance when you wish to use your guest passes, so guests can be contacted with relevant joining instructions. Ongoing monthly payments of £60 will be taken on the 1st of each month via recurring card payment. For memberships commencing part way through the month, a pro-rated payment will be processed on your start date to cover the period before the first regular payment on the 1st of the following month.